1. 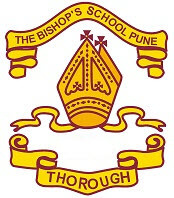 Applications for admissions should be made on-line through the on-line Admissions form available at www.thebishopsschool.org .Please log on and follow the instructions on-line to fill in the form. 2. No admission will be considered until all the requirements are fully met. 3. Parents/Guardians must give an undertaking, in writing that they will abide by the rules and regulations of the School as made from time to time. 4. The Principal & Hon.Secretary/HeadMaster does not bind himself to furnish any reason for rejecting any application. 5. The documents should be get verified and submitted as per the Admission Notice. 6. A transfer Certificate from a recognized school will be required when admission is granted to classes 2 and above. 7. If a pupil has come from a different State, the Transfer Certificate must be countersigned by the appropriate Inspector concerned. Only a Transfer Certificate from a recognized school is accepted. If a boy has come from a different country, the Transfer Certificate must be countersigned by the appropriate officer of the Indian Embassy/Consulate in that country concerned. 8. If a Transfer Certificate is delayed as a result of being sent for counter signature, a provisional certificate from the previous school may be submitted. Admissions granted will be provisional till a proper Transfer Certificate, duly signed and stamped by the appropriate authority, is submitted. 9. When a child is admitted on a Transfer Certificate he will not be placed in a class higher than that which the Transfer Certificate shows him to be qualified in the appropriate month of the particular year. He will not be promoted before the end of the school year. There can be no relaxing of this Rule, which is a Government Directive. 10. Admission will only be confirmed on payment of one term's fees. This amount will be credited and adjusted against the first term's bill. The amount is not refundable if a place accepted is later refused.